I'm going to tell you a secret. When I first heard the term Affiliate, I thought it was some weird money making scheme. Then, the more I found out about it, the more I really believed it was a scam. Not only a scam for me, but for my readers. I asked myself, is this why people blog? To make money? The answer is, no. However, the thing about affiliates is partnering up with one that compliments your blog and one that you honestly like and use. You can find out more about my preferred affiliates here. Do you like blog themes? Me, too. Imagine making a few extra bucks supporting a theme design company that you actually love! That's how I feel about My Theme Shop. They have this beautiful clean blog theme, and this feminine one that I totally love! 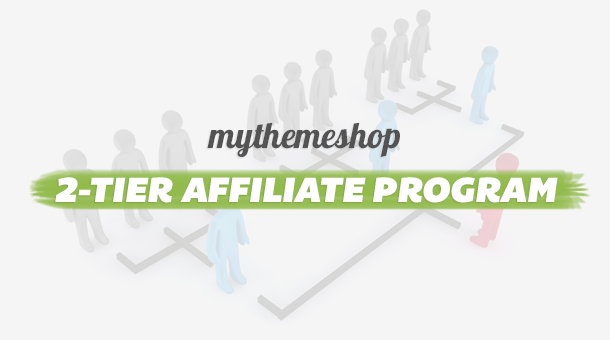 You get 55% of each sale and if you refer new affiliate, you will get 10% of his/her earning for lifetime! To sign up click here! Yep, that’s right House of Brazen now has an affiliate program! At the moment, the program is enabled for the promotion of my ‘Your First Affiliate Sale’ ebook and all affiliates will receive 40% commission on each ebook they sell through their link. To find out more about House Of Brazen click here. Blog Clarity is run by a fun and smart woman named Melissa. Taken from her blog directly, "Blog Clarity takes the haze out of blogging with can-do tips for any blogger. From blog posts to e-courses, you'll learn to shine your brightest. Without any blogging voodoo magic." And, she has a really nice affiliate program.